Brace yourselves, America: the US government shut-down that has dragged on for two weeks could last a lot longer - possibly forever - if a Mexican psychic's predictions come true. As Donald Trump said Friday he was prepared to keep the partial shut-down going for as long as it takes to get funding for his border wall, Antonio Vazq Antonio Vazque uez - better known as "The Grand Warlock" - said in his annual predictions on the year ahead that the US president would not get funding for the wall in 2019, or ever. 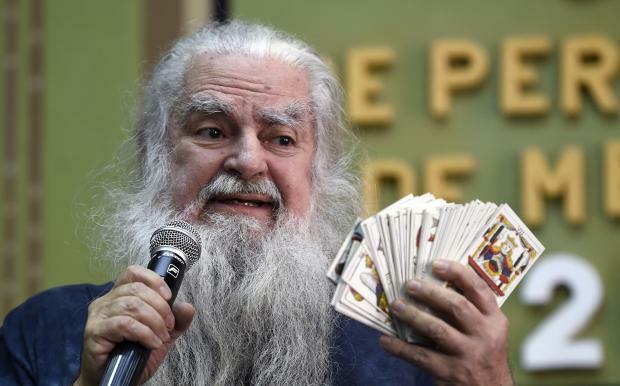 Hovering over his tarot cards and holding a microphone to his flowing white beard, Vazquez said of Trump: "He's not going to get (the money). On Tuesday or Wednesday there will be a very grave problem arising from this wall foolishness. That wall will never be built." The offbeat prognostication came on the same day Trump said he "will do whatever we have to do" -- including maintain the shut-down for "a very long period of time" -- to get Congress to approve the $5.6 billion he is requesting to build a barrier on the US-Mexican border. In 2016, he predicted Trump would lose the Republican primary election. And last year he predicted Mexico's presidential election would be won by ruling-party candidate Jose Antonio Meade - who ended up finishing a distant third. However, Vazquez did correctly predict Mexico's shock upset of defending champions Germany at last year's World Cup. In other forecasts for 2019, Vazquez said accused Mexican drug lord Joaquin "El Chapo" Guzman would be sentenced to life in prison at his ongoing trial in New York, and foretold health troubles for Mexico's new President Andres Manuel Lopez Obrador.